The Beauty of Life: I'm Obsessed with These Two Eye Creams. I'm Obsessed with These Two Eye Creams. Anyone who knows me is well aware that I'm obsessed with eye creams. I try tons of them, hoping to diminish my fine lines and banish my pesky dark circles. Many don't make the cut, but a select few excite me so much that I simply have to share my findings with the world. Such is the case with my two new obsessions. Keep reading and find out what they are. 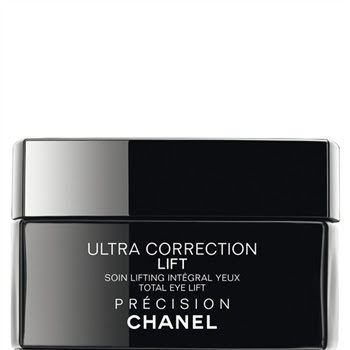 Chanel Ultra Correction Lift Total Eye Lift ($100 at chanel.com): I'm beginning to think that Chanel can do no wrong. I have already amassed a large quantity of nail polish (over 20 bottles in just a year), but when I tried this eye cream I was seriously hooked. The lacquered black tub is uber-chic, the slightly floral scent is divine, and the rich creamy texture is utterly luscious. Not to mention the cooling effect it has on the under-eye area and the immediate reduction in the appearance of wrinkles. (Seriously, try it just on the back of your hand -- you'll be amazed at the difference.) Every time I slick this on, I'm amazed at the radiance left behind. 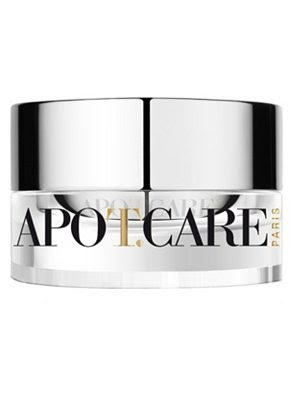 APOT.CARE Irido-Radiant Eye Contour Care ($125 at apotcare.com): Again, the packaging is what initially sold me on this product -- but it's what lies within that really kept me coming back for more. Untwist the gleaming silver cap to discover a bright orange cream that has a lush whipped texture. It leaves skin feeling soft, smooth and hydrated instantly -- and only the tiniest amount is needed (smaller than the pad of your index finger). Even my smile lines seem to have reduced!